With stagnant incomes and roller-coaster investment returns over the past decade, individuals on the brink of retirement might wonder what became of all those “rules of thumb” affecting how they handle their nest egg once they walk away from their jobs. They’re still there. But the question of how well they work comes down to the individual. Chief among them is the “Four Percent Drawdown Rule” first revealed by CERTIFIED FINANCIAL PLANNER™ professional William Bengen in the October 1994 issue of the Financial Planning Association’s Journal of Financial Planning. Bengen wrote that retirees who took out no more than 4.2 percent of their mostly stock-based portfolio in the initial year and adjusted their remaining portfolio toward a 60/40 split in stocks and bonds each year, that money could last an average of 30 years. That approach made Bengen’s work a gospel in the financial planning industry. But after this decade, which ended with the worst recession in 70 years, some experts are taking a new look at the 4 percent rule. 1990 Nobel Laureate William Sharpe of the Stanford Graduate School of Business reported last month that this particular rule can be harmful to many simply because of its level of risk tied to stocks and other assumptions including lifespan. He suggests that planners and investors need to do a better job of assessing client risk tolerance and consider more stable investment choices like TIPS (treasury inflation protected securities) among other low-risk options as a foundation for post-retirement drawdowns. In other words, consider client risk tolerance and the content of the portfolio more, a standard percentage of drawdown less. In fact, Sharpe points out that investors actually risk wasting money by adhering to a percentage drawdown that actually could leave more money behind after a few good investment years – in essence, the annual strict drawdown concept could lower a retiree’s standard of life unnecessarily. Set a vision of retirement and revisit it every year before and after you’re retired: If you’ve already been working with a good investment manager or financial planner, you might have already done this. But retirement goals change as most life goals do, so treat the subject organically. Talk about the fun stuff, but state your objectives for a post-retirement work picture if you want to create a new career or simply want healthier finances. Set your lifestyle expectations now and revisit them as necessary. Track your working-life expenses for 3-6 months and examine how well your current retirement nest egg and other resources could support that spending: This is where your imagined vision of retirement becomes real — or falls apart. A thorough examination of your current spending habits is a great first step in determining how realistic your preparation for retirement has actually been. It will also provide a picture of what else has to be done. Consider worst-case scenarios: For many retirees, increasing healthcare expenses and the cost of end-of-life-care account for significant spending. As a result, many retirees may pay for expensive experimental treatments to fight disease or long-term home or nursing home care. Current statistics from AARP show that the average home health care aide makes $18 an hour and a private nursing home room costs $78,000 a year. While public aid picks up medical expenses for those who exhaust their assets in most states, most of us desire more than minimal standards of care. Health care reform is not even close to solving this problem, so it’s time to plan. 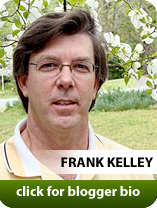 July 2010 — This column is produced by the Financial Planning Association, the membership organization for the financial planning community, and is provided by Frank Kelly, CFP® , a local member of FPA.